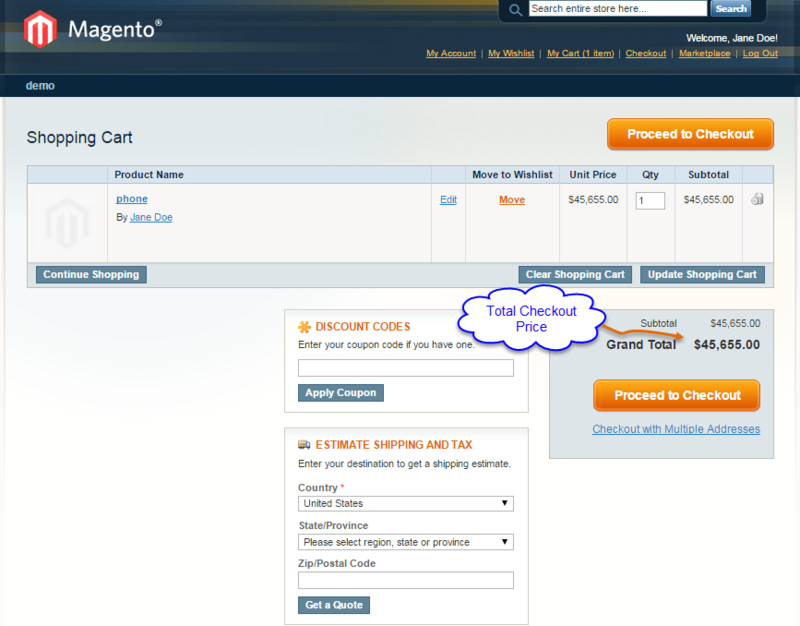 This payment gateway is an add-on of Magento Marketplace Module. To use this module you must have installed first Marketplace Module. 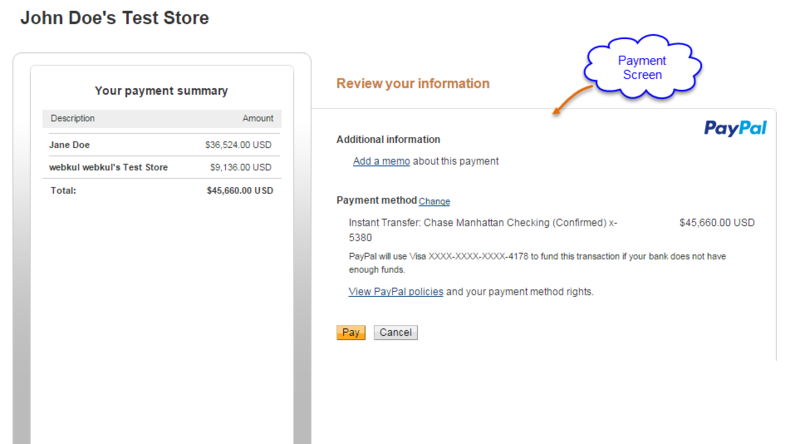 Magento Marketplace Paypal Adaptive Payment supports PayPal Classic API. 1. For Refund, Seller must have Paypal Business Account. 2. 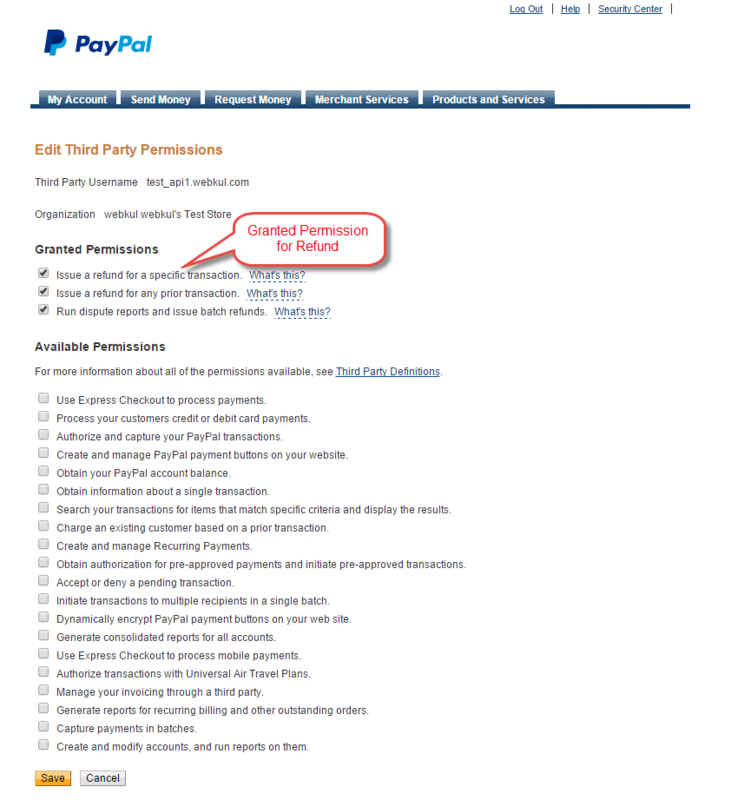 For Refund process in our Marketplace Paypal Adaptive Payment module, seller needs to give Third Party Access permission to the admin. 3. In case of Chained Delayed Payment type, admin have to release payment to the seller before doing partial Refund otherwise admin will unable to release the remaining payment to the seller. 5. According to the latest update from PayPal, you need to use https for the IPN postback so that you will successfully get verified status as explained in here: https://www.paypal-knowledge.com/infocenter/index?page=content&id=FAQ1914&pmv=print&impressions=false&viewlocale=en_US, So this payment gateway will properly work on https. 6. As per PayPal latest security updates there must be installed trusted certificate in your server and As PayPal endpoints was recently upgraded to new SHA-256, 2048-bit certificates, so your machine who make the request should be using the same algorithm. Seller need to input his PayPal id under seller profile payment details as shown below screenshot. Paypal id will verified before the action take place. 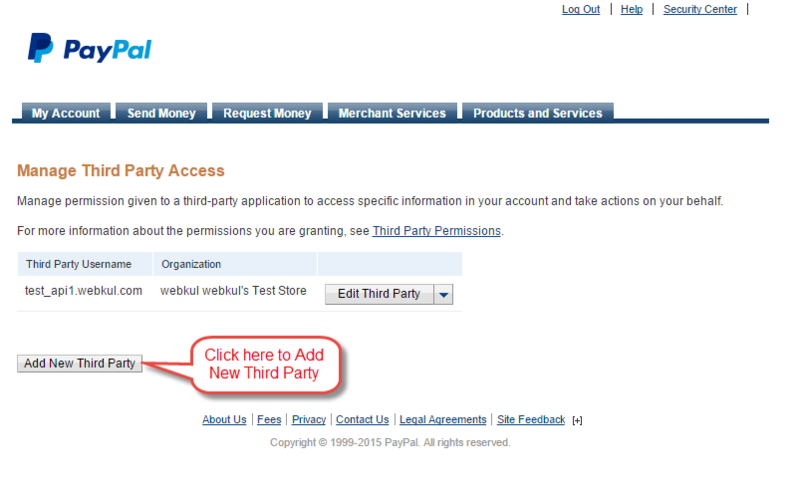 If the paypal id is invalid or used earlier then Error message will display. After the installation of the module, You will find a payment method. Under System > Configuration > Payment methods > MP Payment. In MP payment, there is two types of Adaptive Payment. In a parallel payment, a payment is sent to multiple receivers. In a chained payment, a payment is made to a primary receiver. The primary receiver keeps some of the payment and pays the rest to one or more secondary receivers. 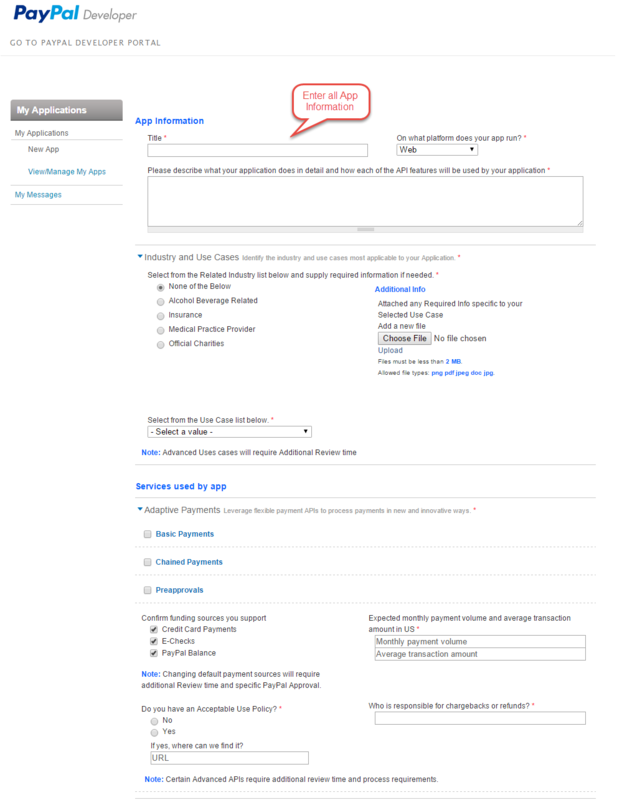 Admin can select either Instant or Delayed payment type. During checkout you will see MP payment method as per the screenshot. After placing order through MP Adaptive payment, you will redirect to Paypal site where you will enter all paypal details and after successful payment transaction you will redirect back to our store. 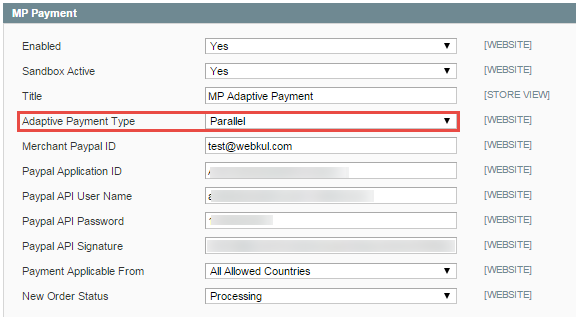 Above page is responsible for Parallel Adaptive payment type. It supports both Delayed and Instant chained adaptive payment. Now login with the PayPal account to pay the order. 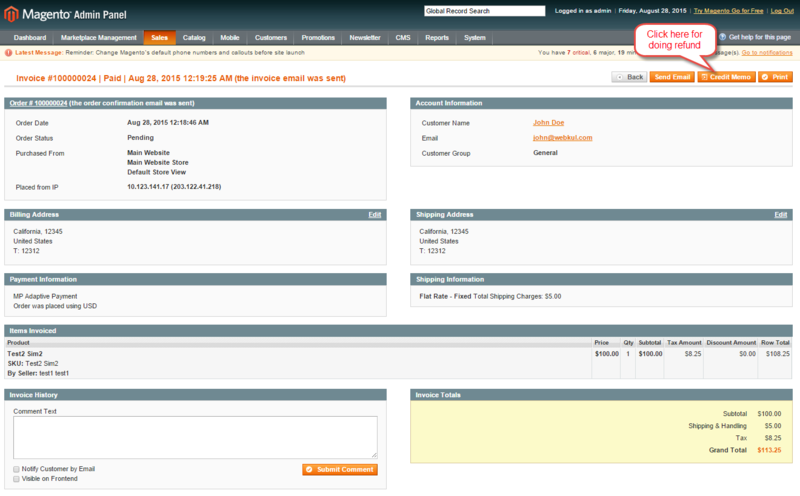 After the payment, admin can see the payment details under Marketplace management as shown below. When you will visit the menu, you will see following grid with order details. Here admin can see Seller’s name, product name, amount, commision, and Payment type. Admin can verify the order from sales > order > transaction. 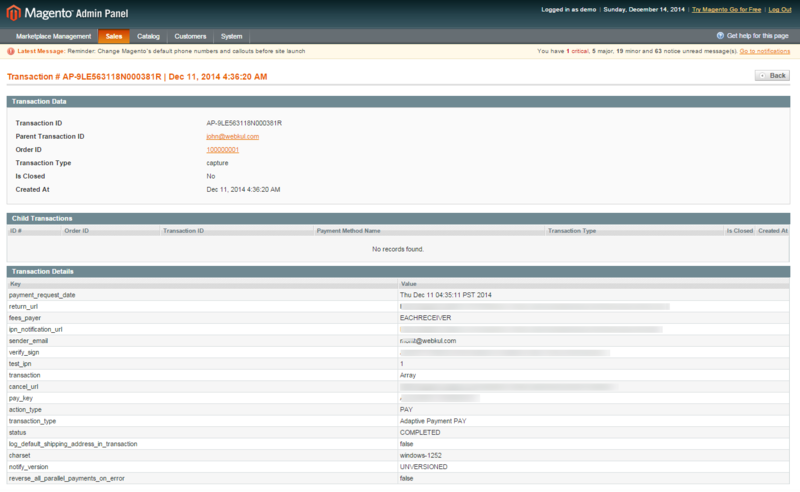 If payment done by Delayed Chained Payment then from below screenshot admin can release payment to Seller/Vendor. Admin can see the whole transaction under Marketplace > Sellers Transaction like Transaction Id, Type and Method of Transaction etc. When admin will click on Transaction Id whole details of that transaction will be open. Marketplace Paypal Adaptive Payment Gateway provides an easy Refund to their customers. 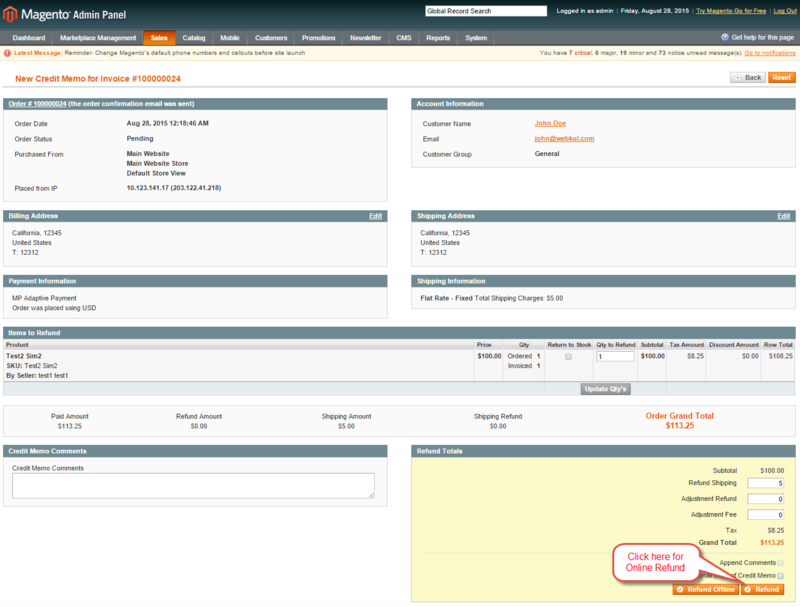 Now admin/seller both can do fully/partial refund easily. For doing refund, seller have to go “My Order History” and then click on the order for which wanna refund. Then click on the Credit Memo tab for refund. Once seller clicks on Credit Memo button, a page will open where seller will have Online refund option. After clicking on Refund button, seller have done with refund. 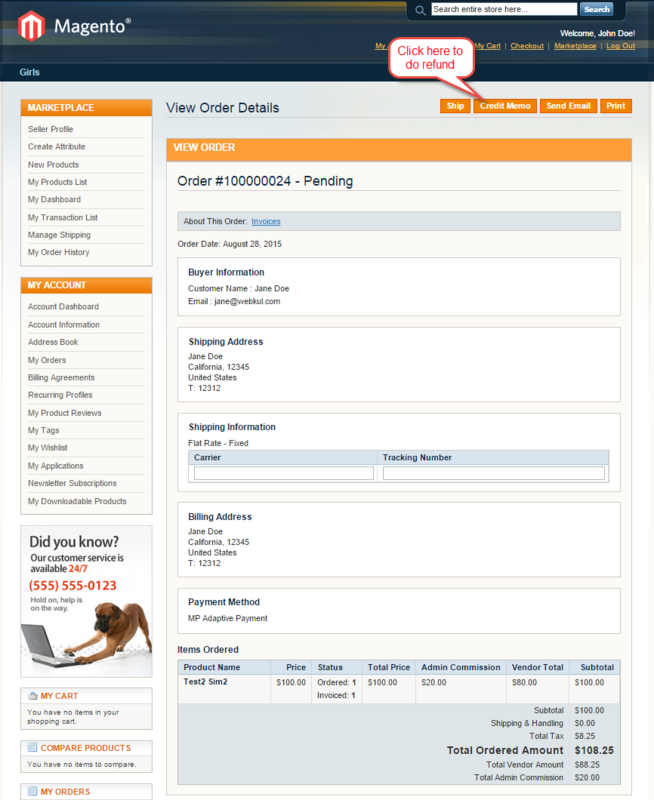 For refund admin have to navigate invoice page for an placed order for which admin wants to do refund. 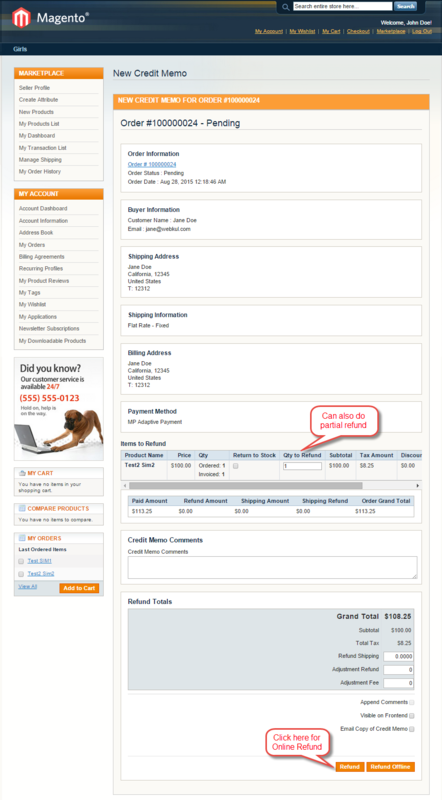 Now click on the Credit Memo tab where Refund button exists to refund. After clicking on Credit Memo, you have to click on Refund button. Refer to the below screenshot for the same. 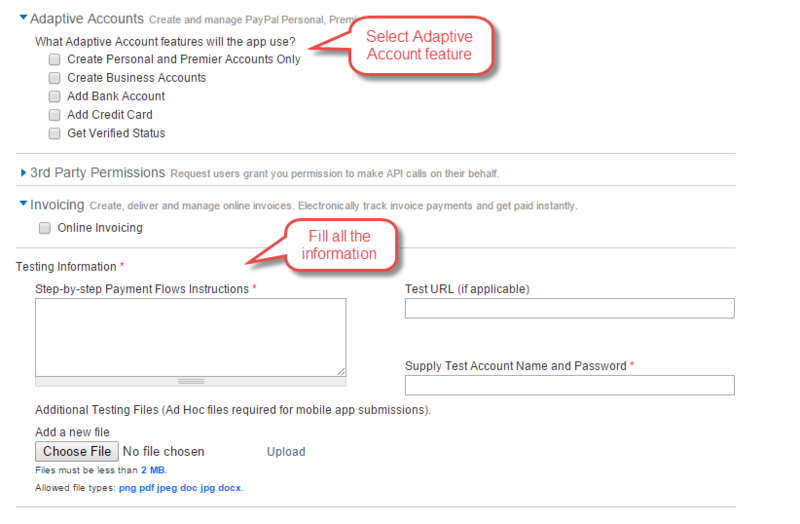 You can easily set up application for Paypal Adaptive Payment. You have to do nothing just go to this link https://www.paypal-apps.com/user/my-account/applications/new. Once you will be submitted the application form you will get Adaptive Payment Application Detail. As Webkul already offers video and user guide for app creation and submission but the approval will be managed and moderated at paypal end, Webkul will not be responsible for app approval or moderation. In this case customer needs to consult with PayPal . Hi I am not able to get the “Delayed chain payment” tab on the order view page. is that possible with this extension? I am not able to see the “Delayed payment chain” tab in order I have set the “chain” , “delayed” payment method. Also can you please tell me that the vendor refund the amount how it will process? will it go directly to the customers paypal account. ?